Therefore, you have a problem fixing their dates. To determine their date, you have to know when each of the verses was composed and when all of the Upanishad in its current form came into existence. Some hymns from the Vedas date back to prehistoric times when the Vedic civilization was believed to have existed on the banks of the River Saraswathi in the area where presently the Thar desert exists. The same may hold true for some ancient Upanishadic verses, especially which were drawn from the Brahmanas and the Aranyakas. This is based on the observation that the most ancient hymns of the Rigveda mention over seventy times the name of River Saraswathi, while you do not find in them any reference to the River Ganga. The 108 important Upanishads were composed at different times. Some verses in them are very ancient dating back to three or four thousand years while some are more recent, composed during the medieval period. Since the knowledge of the Upanishads was kept secret, and passed on from person to person, under an oath of secrecy, it was preserved in different forms by various families and teacher traditions, who belonged to different Vedic schools called Sakhas (branches). Each Veda contains one or more Brahmanas and several Upanishads. Of the four Vedas, Rigveda, Samaveda and Yajurveda are considered the original triad (Triveda). Therefore, if you are looking for the most ancient Upanishads, you have to search for them from the Upanishads belonging to these three. Some schools bear the same names as the Upanishads such as Aitareyins, Kausitakins, Taittiriyakas and Kathakaas. These schools used the same Samhitas from the triple Vedas to teach the ritual knowledge, but followed their own curriculum with regard to the Brahmanas, Aranyakas and the Upanishads. The knowledge of the Upanishads was taught to the students in the end, after they gained sufficient mastery in the remaining three. Since the Upanishads were to be taught in the end and kept most secret, we do not have proper records to know how and when they exactly originated. The Upanishads that we have today are not necessarily the same Upanishads the Vedic scholar used in ancient times. What we have today are remnants and loose compilations created from many sources. For example, the Chandogya Upanishad is a compilation of verses from various sources including two Brahmanas from the Samaveda. 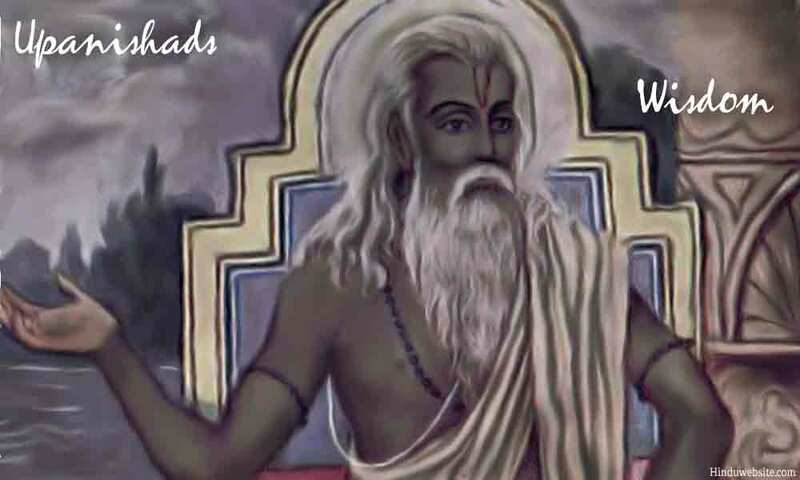 The Katha Upanishad which we have today might be a later day recreation of the original text or a legend that existed in the Rigvedic period in which a father sacrificed his own son in a Vedic ritual (Naramedha).